The Bar III Vortex Sandals feature a Leather upper with a Open Toe. The Man-Made outsole lends lasting traction and wear. BAR III shoes are the perfect complement to your wear to work clothing, casual outfits and going out dresses. BAR III is a Macy's private label that has a full collection for both men and women that includes a clothing line, footwear and an accessories line. 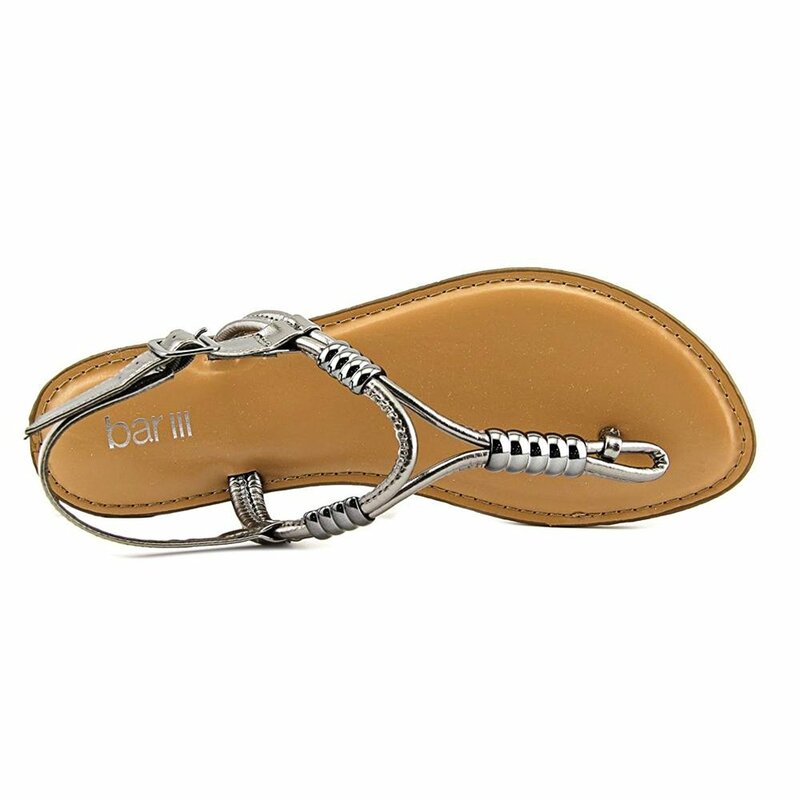 BAR III's comfortable footwear collection features many casual every day styles such as suede wedge sandals, slingback sandals, trendy lace-up sandals, classic oxfords to wear with your jeans and tops, and day to night ankle booties in many colors and sizes. At our store you can also shop for BAR III shoes such as suede wear to work mid heel pumps, high heel comfortable leather pumps that can take your from the office to evening cocktails with the girls, and high heeled and flat leather boots and suede boots. At our store you will find an extensive BAR III footwear collection with the latest season styles including wing-tip dress shoes and oxfords, pointy pumps in neutral colors, velvet sandals and heels that are on trend and printed high heeled sandals to complement your favorite party outfits. / Buy with confidence! Bar III Womens footwear would make a great addition to your shoe collection!